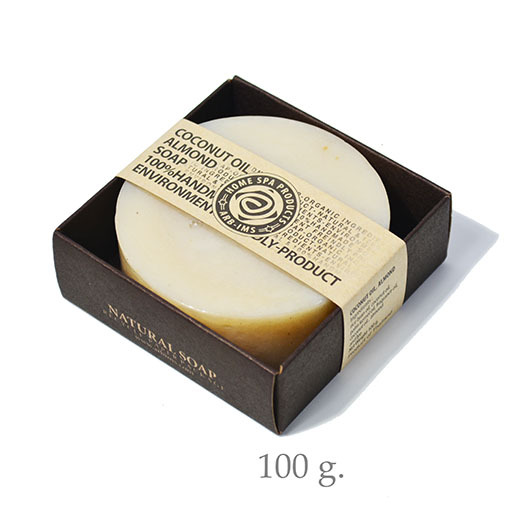 Benefits : Infused with pleasant aroma, coconut oil in the soap thoroughly cleanses and softens the skin. Almond oil is rich in vitamin E, a perfect moisturizer for facial and body skin. Suitable for any skin type. How to use : Wet the body, lather up and rinse off. Tip : After use, to extend the soap life, place it in a dry place where there is no waterlogging as natural soap will dissolve in water.